Formal Hire From $88.00 per hour. 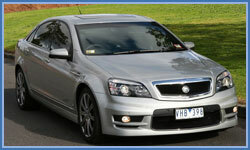 Wedding Hire Fully dressed cars from $110.00 per hour. Please note: these are sedan prices only (max. 4 passengers). Vans & SUV's are also available. Our competitive rates are structured to ensure your transport experience is not only affordable but one you will choose to utilize again and again. We believe our pricing to be value for money. Below is a brief summary of our pricing policy. Should you require a personalized quote, please contact us at enquiries@chauffuercars.com.au or directly via telephone on 0412 626 742. Airport pickups incur parking fees. 20% surcharge applies to transfers between 11pm and 5am. For a personalised quote please submit a booking enquiry or call 0412 626 742. Above prices include City Link road tolls and airport parking charges. International arrivals may incur additional charges for waiting time. Disclaimer: The above prices are provided as a reference only and are subject to change without prior notice. * Rates subject to vehicle requirements. Please contact us for more information.